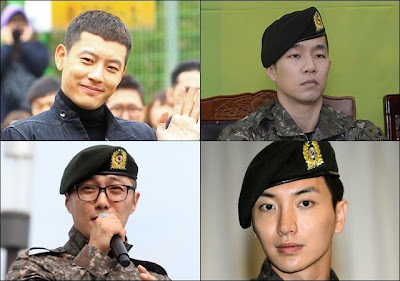 Singers Se7en and Sangchu of Mighty Mouth and five other celebrity soldiers were ordered to spend time in a military jail as punishment for the massage parlor scandal last month. Korea's Ministry of National Defense has announced the punishment for the celebrity soldiers after completing its investigation of the incident, which led to the abolition of the entertainment soldiers system of the military. Se7en and Sangchu will spend 10 days in the military jail for violating military rules including leaving the motel they were staying without permission and not wearing the prescribed uniforms. Five other soldiers will spend four days in jail for using cell phones without authorization. A corporal was ordered to spend 10 days in confinement. Recently, it was revealed by Korean congressman that pop star Rain and 10 other celebrity soldiers served as military PR agents despite being unable to submit supporting documents that were needed. Last month, a TV current affairs program exposed the massage parlor incident that involved celebrity soldiers. 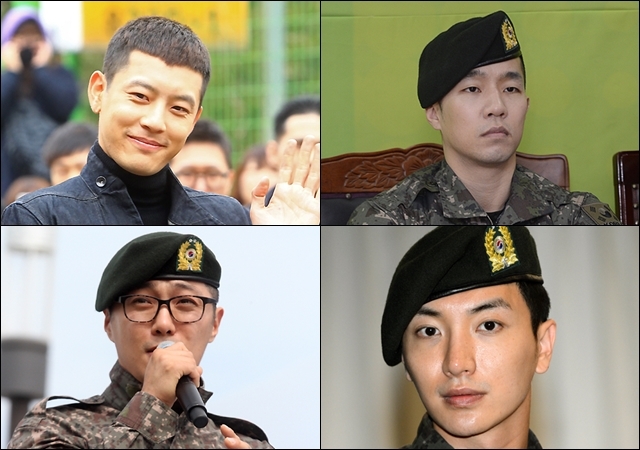 The celebrity soldiers including Se7en, Sangchu, Rain, KCM, Lee Joon Hyuk and Kim Kyung Hun attended a military concert in Chuncheon, Gangwon province. After the concert, they were seen drinking, using cell phones and were outside their motel past the 10 p.m. curfew. Rain was discharged from the army last July 10. The Defense Ministry launched an investigation following the airing of the TV program. Last week, the ministry announced that the entertainment soldiers system would be abolished, 16 years after it was established in 1997. The ministry said a series of incidents involving the celebrity soldiers tarnished the name and image of the military and lost the public's trust in the institution. The 15 soldiers under the military's public relations support group will be reassigned to different units starting Aug. 1. Those that were punished will be redeployed after serving their jail time. Among those that will reassigned are Super Junior's Leeteuk, actor Ryu Sang Wook, KCM, Kim Moo-yeol, Lee Joon-hyeok and Choi Jae-hwan.